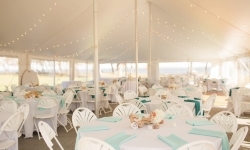 Rental Products for Ebb Tide Tent & Party Rentals include Tents, Tables, Chairs, Dance Floors, Linens, Heaters, Lighting and more! 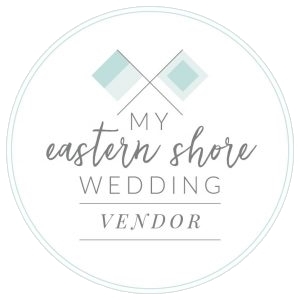 We would be happy to meet with you in person in our office location so that you can review samples as well as offer any assistance needed in helping to plan your event. 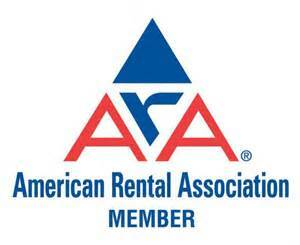 Rental items are also available at our office location for you to pick up and return. Please call 800-675-6053 to make an appointment. 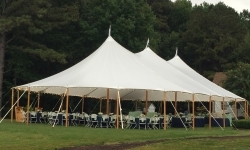 With over 40 years of experience we can help you determine what size tent will best suit your party needs. 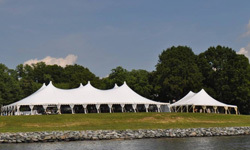 From weddings to reunions, corporate events to cocktail parties, we've provided tents for all types of events. 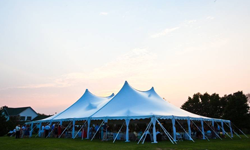 Ebb Tide offers White Pole Tents with single and twin peaks, Majestic Clear End Frame Tents, Clear Top Frame Tents and our brand new Aurora Sailcloth Tent. 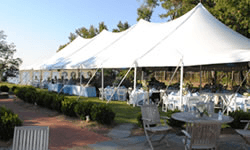 Ebb Tide’s White Peak Pole Tents are the most popular in the industry. 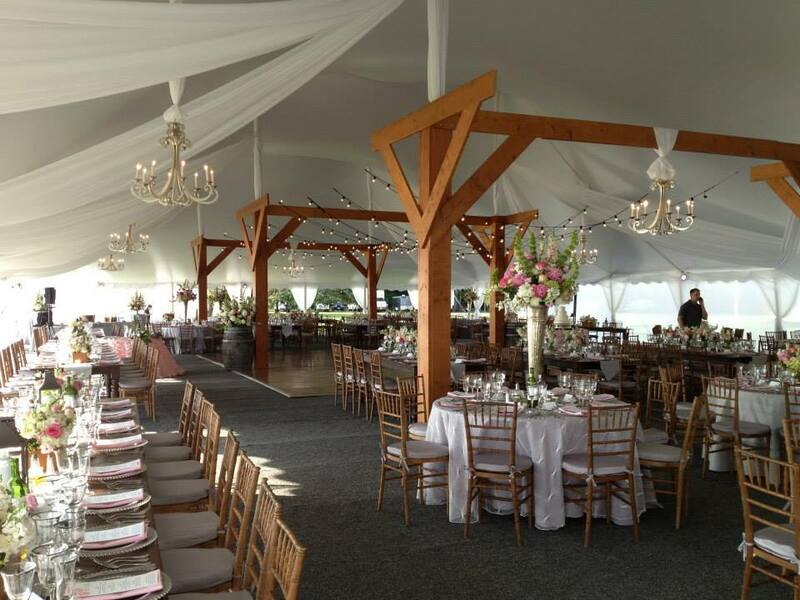 Their natural beauty and clean features provide endless décor opportunities for your event. 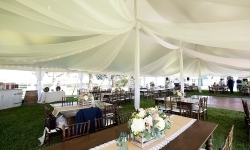 Gorgeous and sleek looking on their own, you can always style it by adding pole covers, colorful up-lights, drapery and more to create the event of your dreams under these tents. 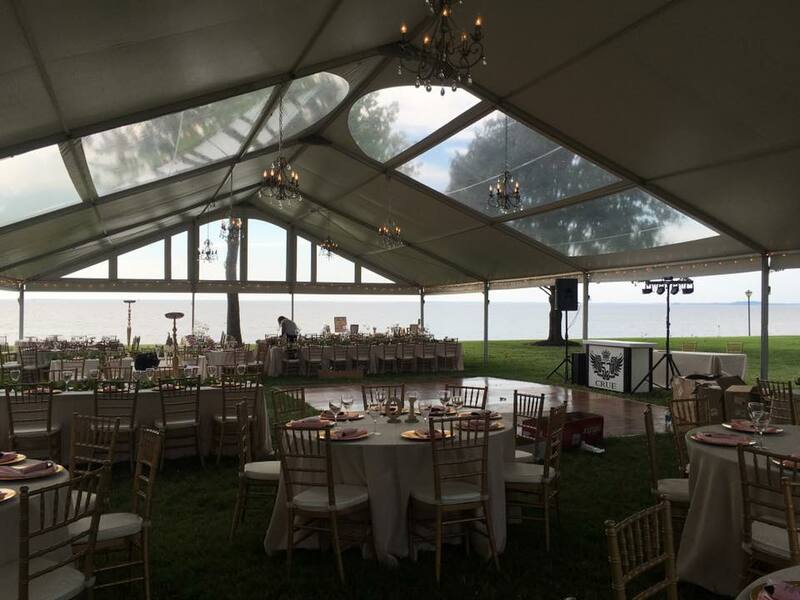 Ebb Tide’s X4 Clear Top Frame Tents provide a beautiful view both inside, and outside of the tent. 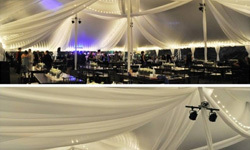 They provide an open air feel with the stars and moon above, while dancing the night away during your event. 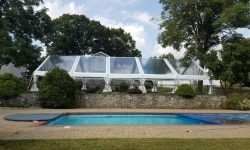 Your guests will be mesmerized by the beauty of the clear tent top. 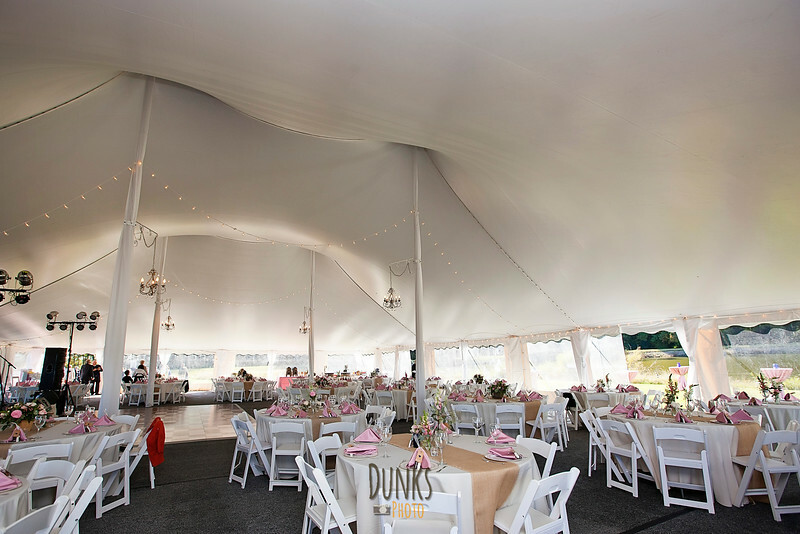 Ebb Tide’s Aurora Sailcloth Tents have a translucent fabric that becomes more than just a canvas for the wedding planner’s art – it becomes an active and integral part of it. 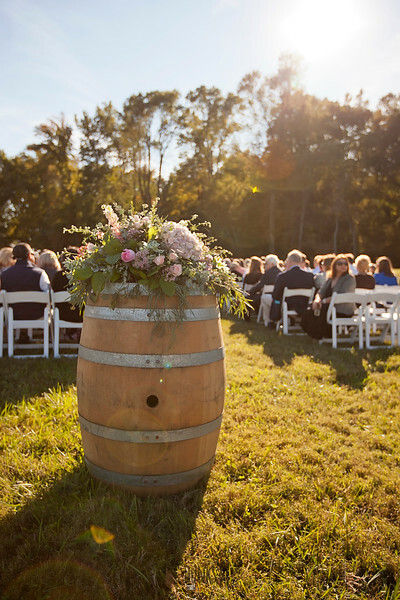 Bright sunlight is softened and transformed into a warm glow with an entrancing play of light and shadow from gently swaying trees. At night it turns incandescent, a gleaming beacon conveying the joyful revelry inside to the world at large. 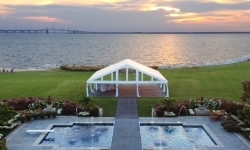 It is an absolutely stunning image for tented events on the edge of the Chesapeake Bay. 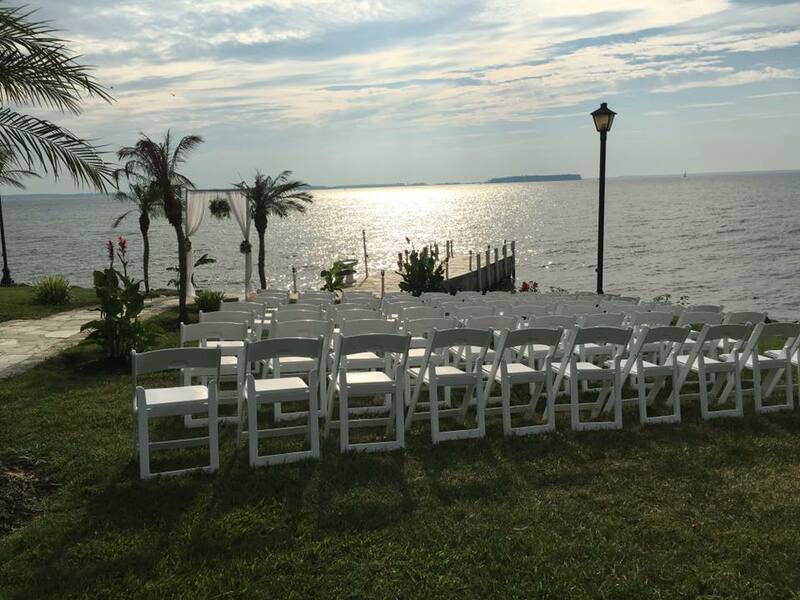 Ideal for weddings, graduations and other ceremonies where there is a length of time that may require your guests to be seated. 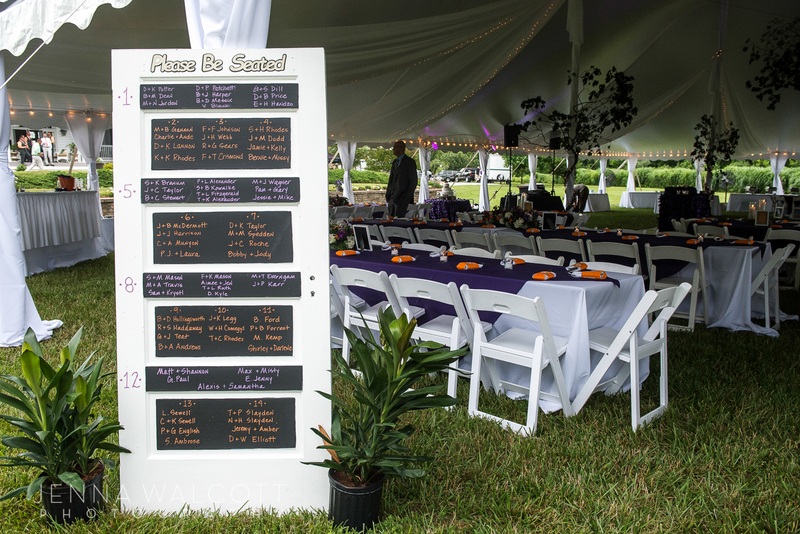 If food is a part of your event, tables are a great place for your guests to relax, eat and visit with one another. 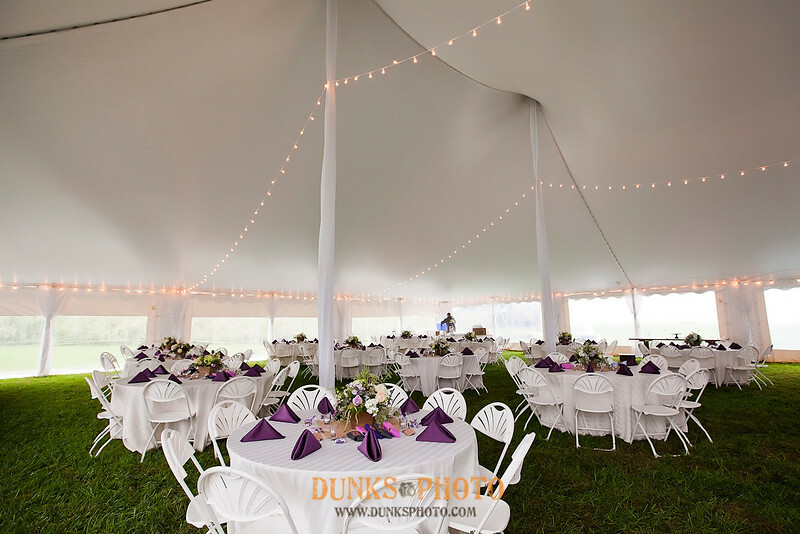 We offer multiple types of tables that meet a variety of event needs. 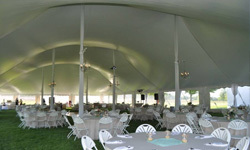 For larger events and seating we offer 8' and 6’ Banquet Tables. 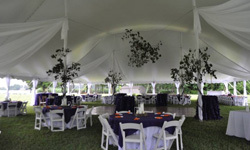 For more personal seating, we offer four varieties of Round Tables – 72”, 60", 48" and 36” round tables. 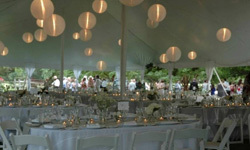 The 72” round tables seat 10 guests comfortably while the 60” round tables seat 8 guests comfortably. 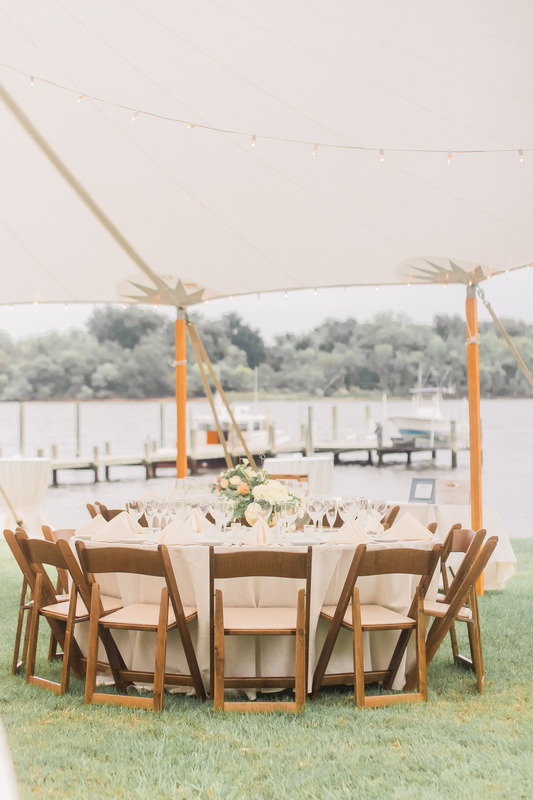 The 36” round table is a popular size for a sweetheart table, while the 48” round table will seat 6 guests comfortably, making it perfect for smaller spaces and patio areas. 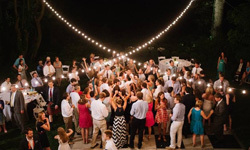 Chances are your event will include music and of course, dancing. 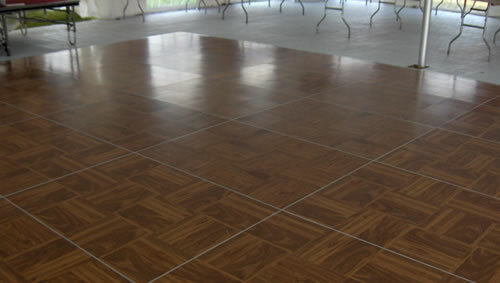 Our Dance Floors are extremely durable and made to be danced on. 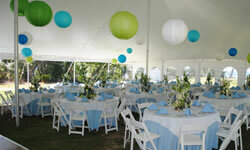 Ebb Tide Tent and Party Rentals offers staging for any event. 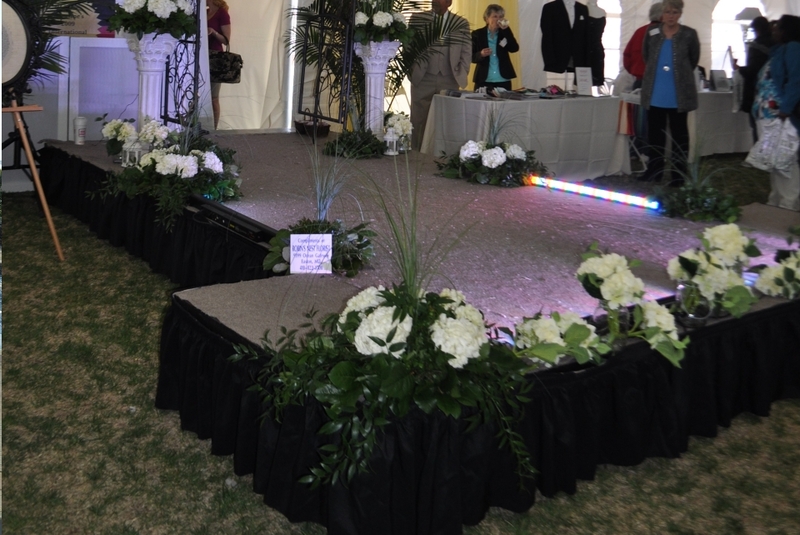 Staging is requested by bands, used for fashion show runways, a great place for sweetheart seating and more. 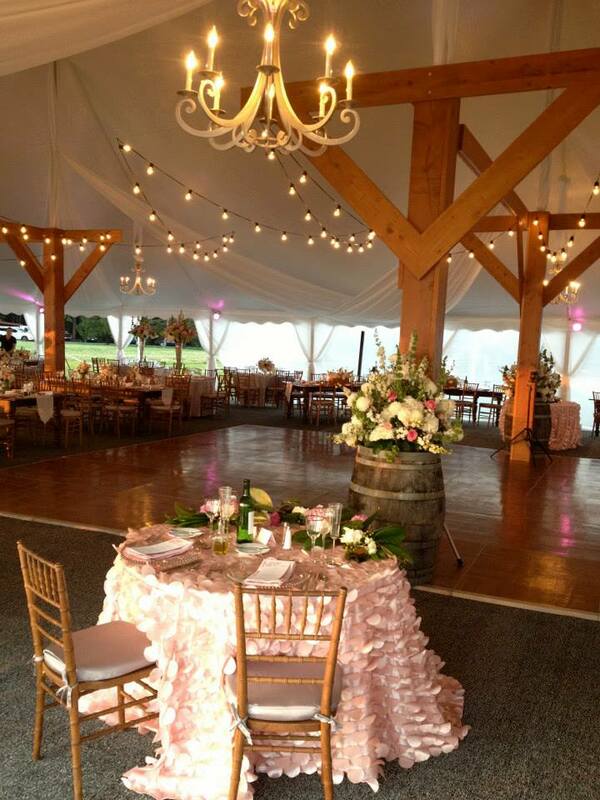 We can skirt and carpet the staging for a beautiful, luxurious look for your event. 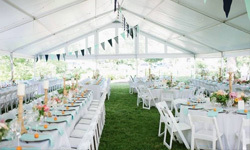 Whether you are flooring a tented area for the comfort of your guests or flooring an area over uneven ground, we have installed our flooring on multiple surfaces. 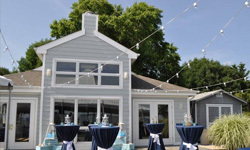 Ebb Tide’s commercial flooring is designed specifically for the special events industry. 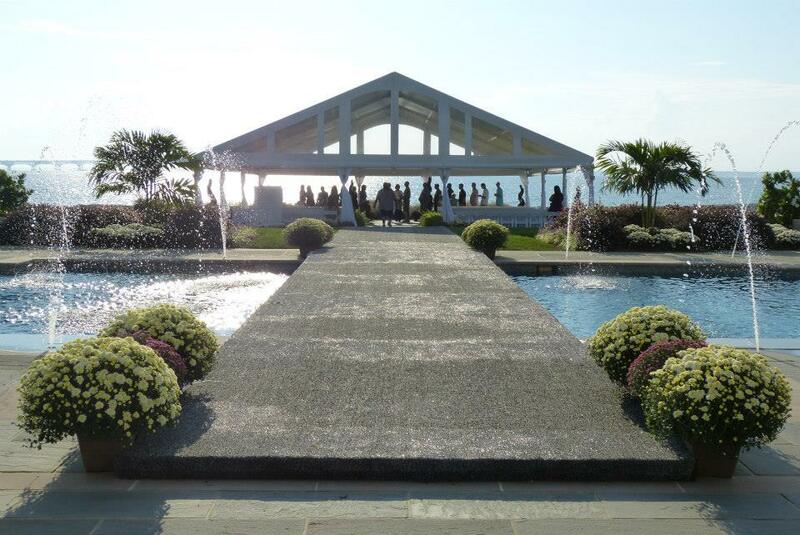 Our flooring is covered with carpet to look and feel like an inside venue while enjoying the views of the outside. 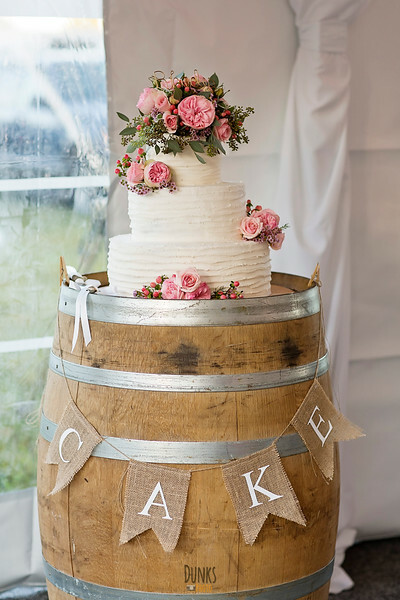 It is a lavish addition to your event and those guests with heels will thank you! 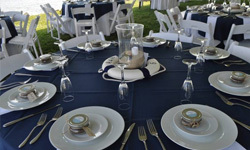 We have a large assortment of colors and sizes available for your entertaining needs. 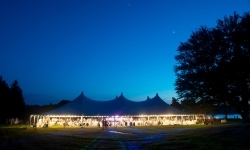 We offer Patio Heaters for events in the cooler months, but we also have 170,000 BTU Heaters for larger tented events in the Fall, Winter and early Spring. 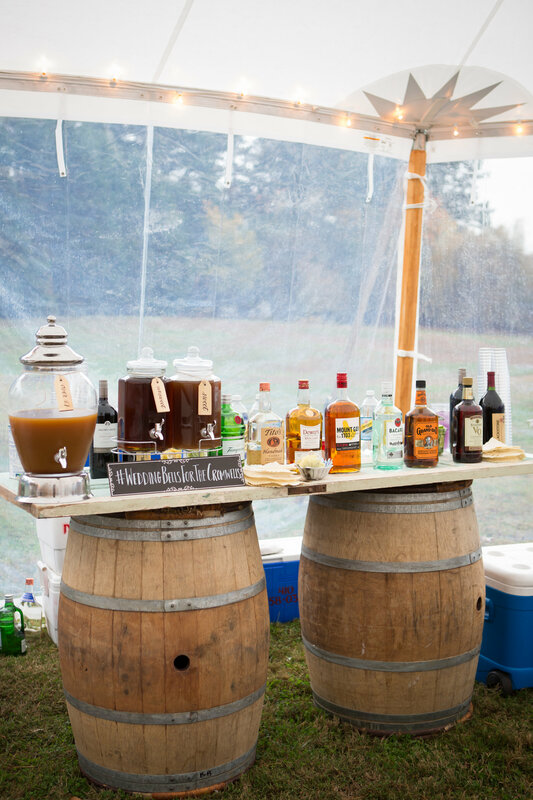 We carry Pedestal Fans, Floor Fans and Spot Coolers for those warmer seasonal events that will provide a comfortable breeze for any event. 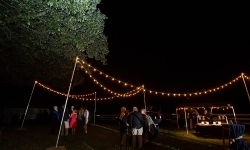 We provide lighting for all types of events. 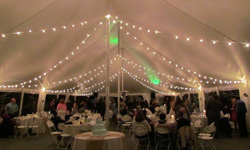 *LED lighting is brighter and more energy efficient than traditional light. 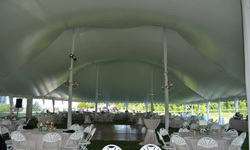 Ebb Tide Tent and Party Rentals offers multiple accessories to enhance the style of your event. 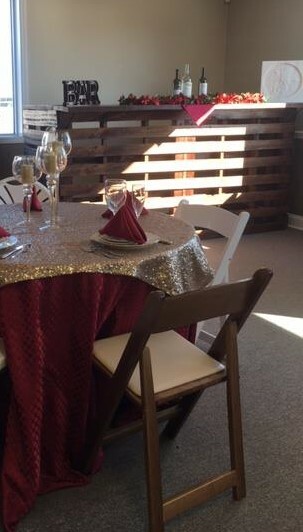 Our extensive inventory includes a beautiful handmade pallet bar, wine barrels, wine barrel bars, window panes, window shutters, door stylings and more. 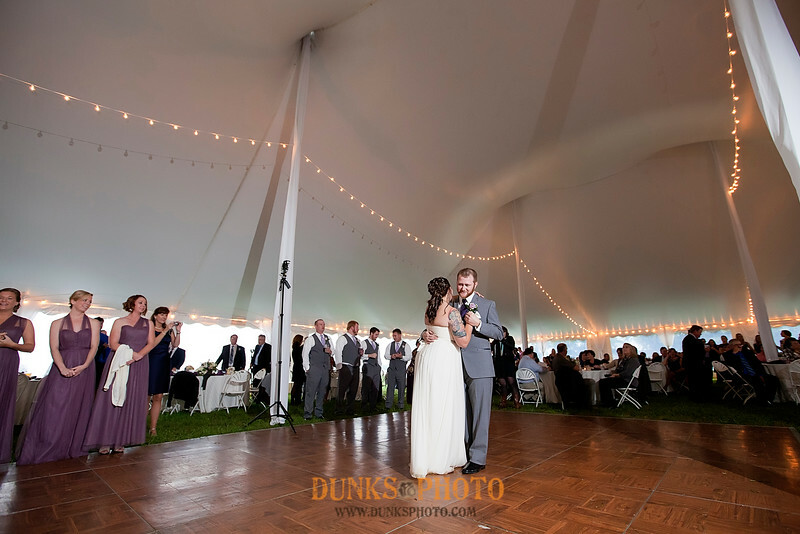 Remember to allow space for a dance floor, food service, music, etc.